Why Should Healthcare Practices Use PPC Advertising? How Does PPC Work on Search Engines? How Does PPC Work on Social Networks? PPC stands for pay-per-click and is sometimes known as paid search, if speaking about the search engine variety. When you buy PPC online advertisements, each time a patient clicks on your ad, you pay a small fee. There are other paid advertising models like CPM, or cost-per-thousand advertising, where you pay per times your ad appears, not per click. This is how newspaper, radio and TV advertisements are sold. PPC is a much better model because you only pay for an action (a click) instead of nonaction (a view). Both search engines and social networks offer PPC advertising, but each of them differ in cost and effectiveness. If they’re done right, Google ads, for instance, will drive high volumes of traffic to your site, but can be more expensive than other search engines. Bing, on the other hand, is often less expensive, but also not as popular as Google, so you may not see as much traffic and thus less appointments. Social networks like Facebook often have lower click-through rates, but the targeting capabilities social media platforms offer make them highly effective. It’s also extremely low-cost. 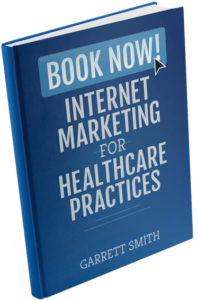 With a budget of just a few hundred dollars, you can effectively drive engagement and awareness for your practice. You should view social media and search engine advertising as complementary to each other since both have different purposes and outcomes. Social media users, for instance, aren’t intentionally searching for you or your services, but they’ll see your ads as they browse their news streams. The best social ads don’t really look like ads – your ads might feature an interesting blog post or useful download about a medical condition. Remember, patients on social networks are the chat with friends and family, not book a provider. They might not become patients immediately, but your ads raise their awareness of your practice. When they do need a healthcare provider, they’ll know who to call. Search engine users, on the other hand, will see your ads when they enter specific search terms related to your practice. Since they are intentionally looking for you, the conditions you treat or services your provide, you will see a higher click through rate and more immediate conversion of this traffic into new patient appointments. Paying for ads also helps you appear at the top of search results, since Google and other search engines show paid advertisement before their local or organic listings. This makes search engine PPC advertising a great way to kick-start your online efforts and drive immediate new patient appointments while you wait for your SEO efforts to drive your local and organic rankings. You may wonder why your healthcare practice should use PPC when you’ve already got a good SEO strategy going for you. At InboundMD, we believe PPC and SEO work hand-in-hand. SEO is a long-term strategy that can take months before you start seeing results. Good PPC ads are live instantly and will start sending traffic to your site immediately. That means instant visibility for your practice. Another reason is that no matter how good your SEO, you’re not always going to be in Google’s local pack or at the top of search results. Paid ads will always appear at the top of search results, however, because you paid for that spot. You’ll be the first thing patients see. PPC ads also allow you to target, at the very least, patients in a specific geography, and on social media platforms even more direct targeting. SEO is great because it gives you a broad reach. PPC complements that broad reach by attracting specific patients. How Does PPC Advertising Work on Search Engines? The first step in getting your PPC campaign started is to determine your budget. If you don’t take time to work through this step carefully, you could end up spending much more than you intended to. Tools like this PPC Bid Calculator or bid simulators built into AdWords can help you refine your budget and estimate how your ads will perform at a certain dollar amount. We recommend most providers start with at least $1,000 per month. If you have less than this, you may want to pursue other efforts first, such as listing management and SEO. Next, choose the search terms you want to have your ads show against. Again, like your budget, this should be a thoughtful process. Google Keyword Planner can help you find search terms relevant to your medical practice as well as suggest bid rates for each term. Hand surgery is a somewhat competitive and Google suggests a fairly high bid for the search term. Other terms, like hand doctor and carpal tunnel syndrome are also expensive. However, terms like carpal tunnel relief and carpal tunnel treatment have lower monthly searches but are much less expensive. Try to choose a few of the more popular search terms and some of the less common terms for a balanced ad campaign. Over time, it’s important to refine your keywords. It may seem easier to just let your campaign do it’s thing, but for the best results, you’ll want to constantly update search terms, get rid of ones that aren’t working, and add ones that might be more profitable. You may also want to add negative keywords to help improve the effectiveness of your ads. Once you’ve determined your budget and your keywords, it’s time to narrow down who sees your ads. For instance, if you practice in Albany, New York, you don’t want patients in Miami, Florida clicking on your ads and costing you money when they will probably never visit your office. To do this in Google Adwords, select your campaign, open settings, and navigate down to the location section. In the search field you can search for areas you wish to target as well as regions you would like to exclude from your targeting. You can also target languages. For instance, if your city has a high Korean population, you can include ads in Korean to reach that demographic. Search engines will not translate ads for you however, so be sure your ads are already in the language you are targeting. Once you’ve set your budget, determined your keywords, and targeted your region, it’s time to create compelling ad copy. Your copy should be all about your patients. Copy that focuses on you or your practice won’t convert well. Copy that tells them what they’ll get from you and your practice, however, will. For instance, an ad that reads “Prestigious Orthopedic Surgeon. State of the art office and location” will do nothing for the patient. When patients see this ad, instead of reading how great this chiropractor is, they’re going to read about all the good things he has to offer them. When they make an appointment, they’ll receive best-in-class treatment. Their treatment will be customized to their needs, not one-size-fits-all, and they don’t need to go through a confusing referral process just to get an appointment. This ad copy tells patients exactly what they’ll get: skincare solutions for all skin types created by a doctor with excellent credentials. As you create your copy, remember, it needs to be all about them, not about you. Ask yourself what you can give them or what differentiates you from your competition. How Does PPC Advertising Work on Social Networks? In some ways, PPC advertising on social media is similar to PPC advertising on search engines. You still need to go through the process of setting a budget, targeting your audience, and creating great copy. The key differences between social media ads and search engine ads comes down to the type of targeting you can select and ad creative you can develop. Social networks offer different advertising targeting options than search engines. Social networks give you a very powerful tool to target a very specific set of patient demographics. Social media platforms allow you to choose exactly who sees your ad. You can target patients based on age, gender, language, relationships, work, interests, life events, behaviors, and more. For instance, if your practice specializes in knee surgery on older patients, your social media ads should be targeted to middle-aged and elderly social media users. On the other hand, if you focus more on sports injury treatment, you’ll want to target a younger demographic, like twenty- to forty-year-olds whose interests include running. As with search engine PPC advertising, you can also target your local regions, even special interest groups within those regions. Another difference between social advertising and search engine advertising is the type of ad creative you can use. With search engine advertising, you are restricted to creating text-only advertisements. Social advertising allows you to use pictures and videos, alongside text, to produce engaging and interactive ads. 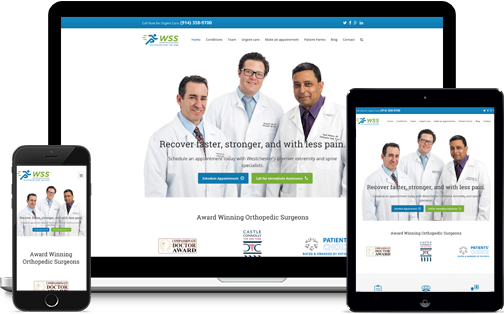 In some cases, you can even show multiple images or videos, to showcase more than one message about your clinic or treatment you provide. Developing an effective PPC advertising strategy is key if you want your ad dollars to result in new patients. Here’s how you can go about developing an effective PPC advertising strategy for your practice. The first step in creating effective PPC advertising strategy is to determine your goals. Why are you advertising in the first place? Are you interested in getting more new patients? Or do you want to raise awareness for a new clinic that you just opened? Sounds simple, but so many practices forget to do this before they start advertising and usually fail because of it. Regardless of the goals you have for your practice advertising, make sure that they are SMART: Specific, Measurable, Agreed-upon, Realistic and Trackable. This decision comes down to the goals you have for the practice. You can start with both (and we’re sure some practices do this), however, you might find it easier to start by pick a search engine or a popular social network that you feel can help you achieve your goals. For example, if you’re instantly looking for new patient appointments, targeting patients searching on Google, is your best place to start. If you’re looking to grow your patient audience and engage with patients more frequently after they visit, social advertising probably is your best place to start. Either way, start small, test and experiment often. There needs to be a reason for a patient to interact with your ad. This doesn’t mean that you need to offer a coupon or discount, but you do need to have something that the patient wants. Most often you will have the solution to their health or medical condition, which is more than enough to offer. The majority of your ad creative regardless of the medium should focus on selling the experience and results you can provide – not necessarily price. Oh and if you’re using social media ads to market your practice, your offer will likely be a piece of content or information that patients would enjoy. Armed with an offer, you can now develop the ad campaign creative – the copy (and in some cases imagery) that will drive patient action. For search engines campaigns, your PPC ads are limited to text and links. Prior to writing your PPC ads and determining your ad extensions, you should do some keyword searches to check out the competition. For social media campaigns, your PPC ads contain both text and images or video. This gives you a lot more flexibility and power over how you convey your value to patients. Regardless of the platform, it’s important to have multiple versions of your ads running at the same time. While you don’t have to test huge variations, you should always be trying to find a better converting advertisement. Plus if you’re experimenting with a new demographic or set of keywords, getting data back on multiple different ads can help you make decisions on future campaign tweaks. You should also be rotating ads at least every month in conjunction with changing offers, unless you’ve found something that consistently works. Search engine and social media advertising platforms provide practices with in-depth tracking capabilities. These capabilities allow your measure and track how your ads are performing on their network. In order to best track a PPC advertising campaign, you will also need to have analytics on your website, so you can identify which advertisements are generating the most new patient appoints. You’ll also want to leverage call tracking, because not all patients book appointments online. Calls bring up another grey area – tracking online ads to offline appointments. While many online tools exist to track the various movements of patients, the front office staff will need to bear some responsibility as well for tracking. Updating patient forms to include your new forms of advertising on the “how did you hear about us?” section and ensuring that the patient is asked at least once to verify, will greatly help in making sure you know what’s working best. At the very least, you’ll know exactly what’s not working.